Some of the most interesting experiences and lessons we get from school, happen at recess. We learn about building skills, following rules, playing fair, making our best efforts, and handling disappointment. We also learn that some students are better at some things than others, and that’s OK. We learn that there are many ways to play and have fun. 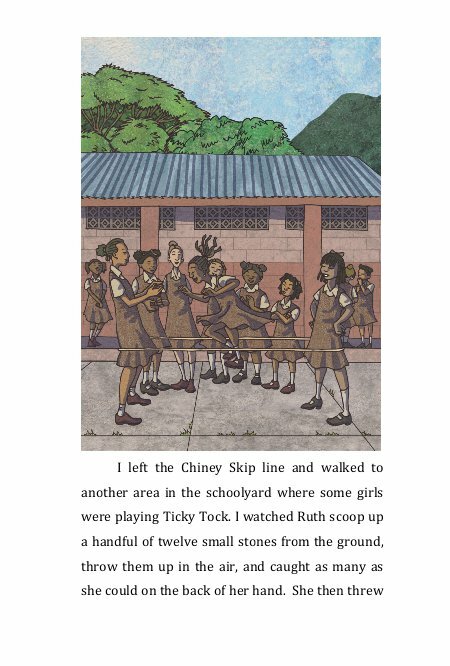 Wyetta's Recess Adventures tells about the many things that can happen to a curious little girl at recess in a School in St.Lucia. Join her as she wanders from the games in the school yard to the nearby garden, to the fruit trees up the hill, to the creek flowing by the school, and back. If you are wondering what can happen to one curious adventurous little girl during recess, this book will give you a front row view. Wyetta is a little girl who was born in St. Lucia and lived there until she was ten years old. She then moved to the United States, as many families did back in those days. 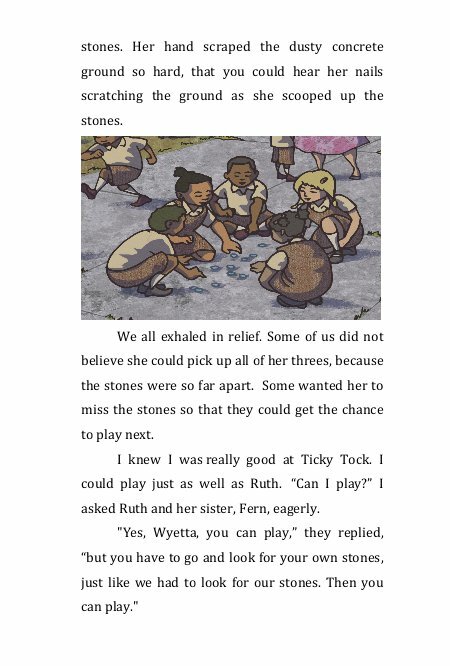 The first set of stories is based on some of the common experiences St. Lucian children have, as reflected in the adventures of Wyetta. 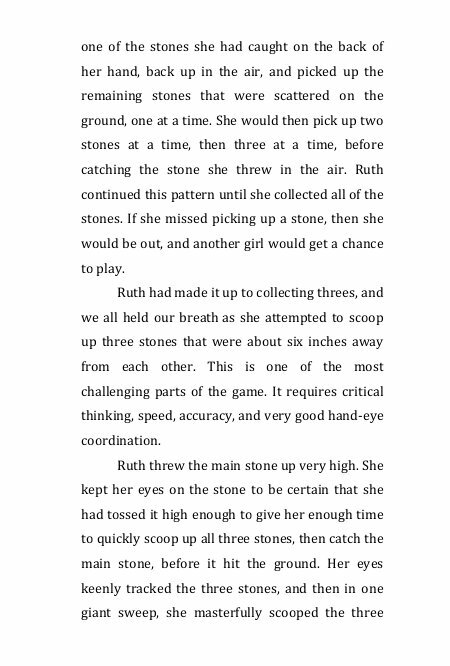 The stories also relate many of the unusual experiences that this inquisitive, honest, impulsive, bothersome, annafè, little girl had in St. Lucia. I believe each child will find a little bit of him or herself in Wyetta. Wyetta's Recess Adventures provides a walk-along with our little heroine as she lives one of her typical days during recess at school. The story places the reader in the vantage point of this sincere child, whose thoughts, questions, and mishaps reveal the unvarnished excitements, disappointments, and triumphs of childhood in the Caribbean Islands. There are many elements and layers to Wyetta and her St. Lucian family. Her stories will generate nostalgia, discussions and debates, lessons for life, appreciation for the beauty of island life and culture, and hopefully, a love for reading in children. The author also hopes that parents and grandparents of Caribbean children in the diaspora will use these books to help their children and grandchildren connect or reconnect with the things of interest and value in their Caribbean cultures. Claudette Ubekha Charles was born in St. Lucia where she grew up until she was about 10 years old. She then moved to Brooklyn with her family, as many island families did in those days. She was inspired to write culturally relevant children's book when she had her first child and realized that there was little or no literature that reflected the experiences of children growing up in St. Lucia. She believed that it was important for St. Lucian children, and other Caribbean island children, and children born in the diaspora, to be exposed to literature that reflected the experiences and culture of their ancestry. Ms. Charles has a huge love for travel and adventure. She has travelled to many countries in the world and has a love for local literature, especially children's books. As a parent and a teacher who has taught hundreds of children to read in several countries, she fully understands the importance of literacy for all children. She therefore concluded that investing her time and resources in helping to develop literature for St. Lucian and Caribbean children was very important. This series of books is her first input to what she hopes will be a part of a much wider contribution to children's literature by writers and educators of Caribbean origin.